In the recent times, two major factors that run any kind of an initiative are environment sustainability and creating start-ups. Since the two factors are getting more and more popular, it makes sense for you to consider your own start-up with the consideration of creating it in an eco-friendly way. 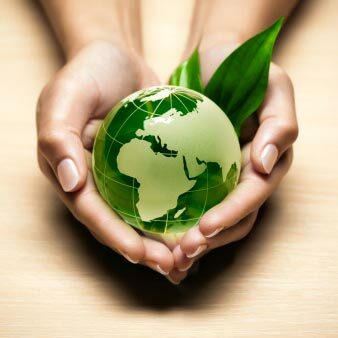 Here are some ways in which you can choose to save the earth while you make some name and money for yourself. Paperless work space – The cloud is making waves in the business scene and people find the cloud technology extremely convenient and useful in their business ventures. This is especially true for those who are involved in a start-up and have to be constantly on the go. A paperless office that runs with the help of cloud technology ensures that information is never out of reach and by eliminating the use of paper the environment and the forests also get adequately sustained. Car Pooling– It may not be feasible for a start-up to provide a common transport system to all its employees, but the least you can do is to encourage the employees to car pool or use the public transport system to travel to work, instead of using the famous taxis that contribute greatly to traffic congestion as well as pollution in the air. Car-pooling would help reduce the levels of toxic emissions in the air and make the roads safer. Water Management – When an office space is run, people do not take as much responsibility of the water and the utility systems as they do at their own homes. This is a general practice that should be changed and people should take more responsibility for resources such as water in the office premise. Leaky taps and flush tanks should be repaired immediately and wastage of water should be stopped. When basic measures for environment sustainability by start-ups are brought in place right at the beginning, it is bound to work well when the business grows larger. encourage plantation! nothing best than creating a green aura around you!